Structures from the Old Hundred Mine cling to the side of Mt. Galena in the San Juan Mountains in San Juan County. Top of the world, from No. 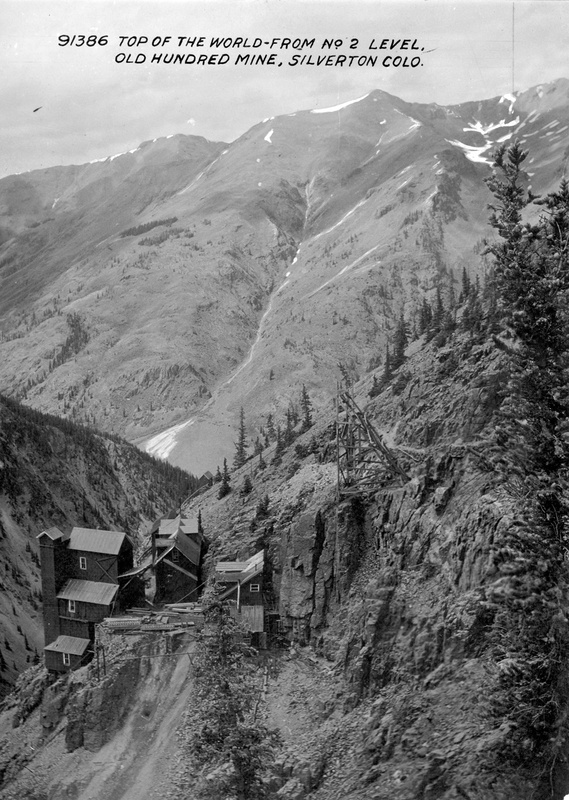 2 level, Old Hundred Mine, Silverton, Colo.